In 1945 Buckminster Fuller erected a geodesic dome the size of large hut on the campus of Bennington College in Vermont. Built from aluminum aircraft equipment and vinyl, the structure was said to support its own weight and more. Supposedly, Fuller suspended a number of his students from the dome to demonstrate its superior endurance and weight bearing abilities. His unconventional design quickly gained notice, most notably from the U.S. government, which used it to create portable emergency shelters. The design has also served as a source of inspiration for many artists and designers. 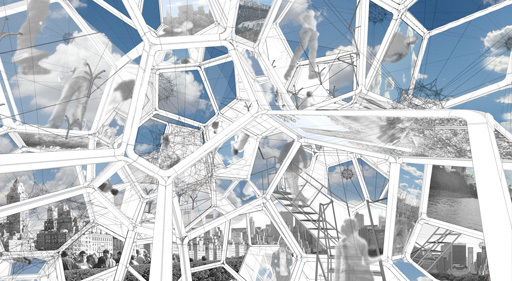 Argentinian-born Tomas Saraceno is one of them. Like many of Mr. Saraceno’s installations “Cloud City” is his vision of floating or flying cities—places that defy conventional notions of space, time and gravity. “You can have a feeling of weightlessness that’s a bit disorienting,” he admitted. Join us on Thursday, May 31, at the Met for Artist as Innovator: Visions of a Floating City when Saraceno explores the evolving relationship between science and art with renowned spider expert Peter Jager, astrophysicist Mario Livio, astrobiologist Christopher McKay and architect Mark Wigley. Katy Clark, president and executive director of Orchestra of St Luke’s, recalls the evening in 2010 when St Luke's performed the premiere of Icarus at the Edge of Time, a multimedia adaptation of Brian Greene's children's book about a young boy who dares to challenge the might of a black hole. Arts education has always been an important part of the work we do, and this is a piece of music that illuminates the connections between science and art for audiences of all ages. On May 30th, Icarus at the Edge of Time returns for another spellbinding performance, this time at the historic United Palace Theater in Washington Heights. The neoclassical-style venue designed in the 1930’s accommodates 3,300 guests. Check out this video posted by Thirteen showcasing the venue’s striking beauty. As part of our ongoing outreach to science educators, we are pleased to offer qualifying educators limited complimentary tickets to the performance for themselves and their students. Click here to find out how to apply. 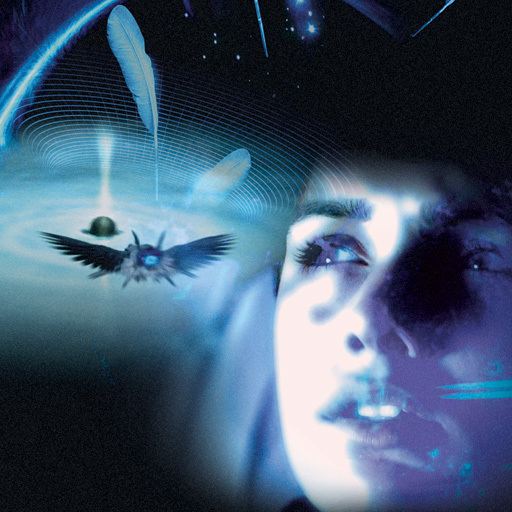 Tickets to Icarus are also available to the general public.